Treat yourself or a loved one to decadent soap! 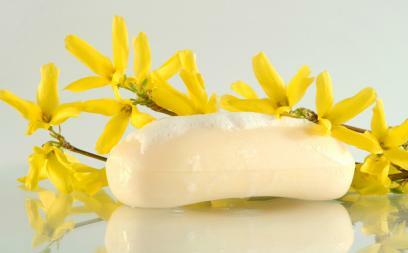 Pampering body care items, like perfumed bath soaps, are the best gifts to dole out to friends or treat yourself to. Not only do they smell great, they also beautify a boudoir, add instant charm to any bathroom and won't break the bank. That's more than can be said for many luxury beauty items these days. Some might think it's the easy way out - and giving soap as a gift certainly can be if your choice isn't well thought out and geared toward the recipient. If the person actually loves soap, though, or body products in general, you can't go wrong with a gift like this. They're also the perfect I-had-a-long-day-and-need-to-ignore-the-world-for-a-while gift to yourself. Just imagine coming home after dealing with the rat race and slipping into a warm, fragrant bath with a lavish bar of soap. That's priceless when life gets so hectic that you can barely squeeze two minutes together! There are the ultra-cheap, run-of-the-mill varieties that are easily found at discount retailers. Then there are those that define luxury with their indulgent scents, rich formulas and high-end names. Even if the name isn't one you're necessarily familiar with, chances are a perfumed soap that costs a bit more than what you'd usually pay for soap is made by a high-end brand. Many perfumed bath soaps are made to coordinate with perfumes. They're often available in gift sets that include a fragrance, shower gel, body lotion, talc, deodorant or some variation of these items. Especially popular during the holiday season, these sets are typically very reasonably priced and offer a better bang for your buck than purchasing the fragrance on its own. However, the fancy soaps are also available separately. If there's a scent you just love, you might be interested in lathering up in the shower with just a matching bar of soap. Though not all companies offer bath soaps in their lineups, several popular brands do. And if you don't happen to find it at any other time of year, do some research during the holidays at department stores and online. Many brands offer seasonal exclusives. Now that you know where to find them, it's time for the fun part: choosing the soap! There are so many out there that it can be overwhelming if you're just delving in for the first time. Take a peek at our picks and get acquainted with these delectable scents! Talk about luxurious! Prada's bath soaps are the epitome of bubbly indulgence. These large, creamy bars are rich in moisturizing glycerin and palm oil. Infused with the classic scent of Prada's decadent amber fragrance, these soaps make a great gift for moms, best friends and other Very Special People. Formulated to complement their best-selling fragrances, the Tocca soap set is sure to delight any woman. Each bar is full of nourishing oils and moisturizers, but the scents are the truly noteworthy traits here: the blood orange, cabbage rose and cucumber/grapefruit aromas are unique and absolutely exquisite. Best of all, you don't have to choose just one - this set includes one bar of each! If there's someone on your list who's never satisfied, this should do the trick! Jo Malone's deluxe soap set is the Mercedes Benz of the soap world. Containing eight soaps in effervescent lime basil/mandarin and lime/grapefruit scents, as well as a coordinating porcelain soap dish, this set will be hit with any lucky lady. It's on the pricey side, but Jo Malone is a brand that's generally worth the expenditure. If you have sensitive skin, you probably already know that it's best to avoid fragrances. Heavy perfumes in particular can be quite irritating. Though the allure of perfumed soaps is appealing for obvious reasons, they may cause allergic reactions, redness and other unpleasantness. Your best bet is to stick with natural, unscented formulas. Don't worry, though - those can be just as rich and decadent as perfumed versions!